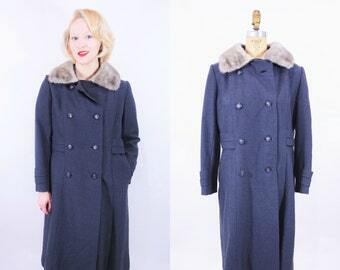 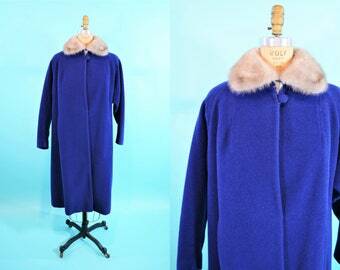 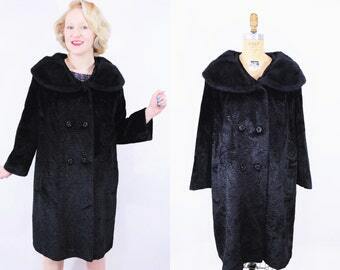 Grab your vintage purse and head out the door in this gorgeous jewel tone 1960s coat! 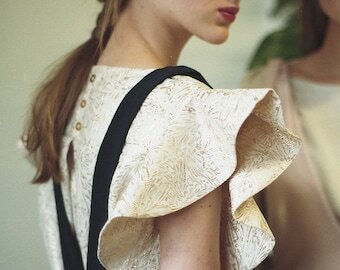 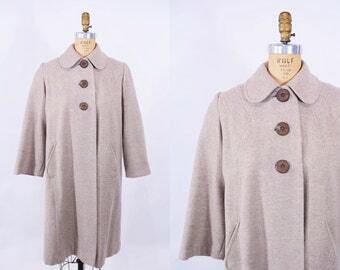 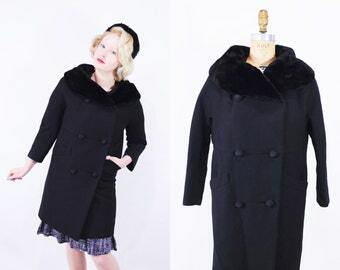 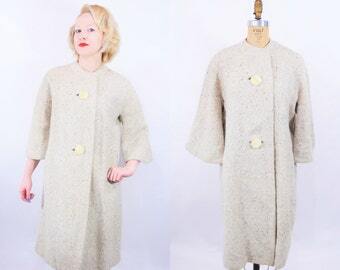 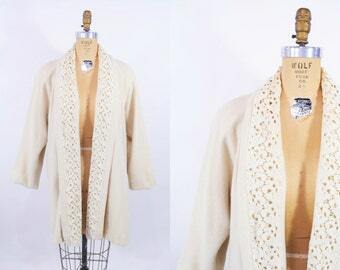 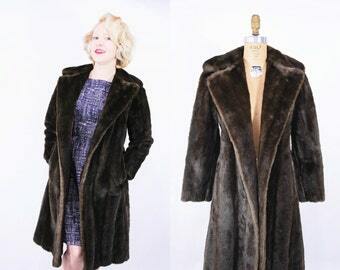 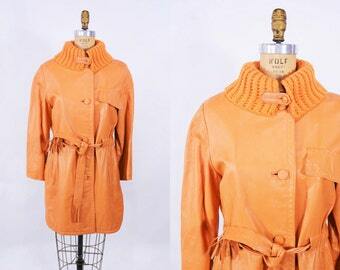 Vintage coat features 2 rows of green and gold buttons, hidden pockets and a brown fur collar. 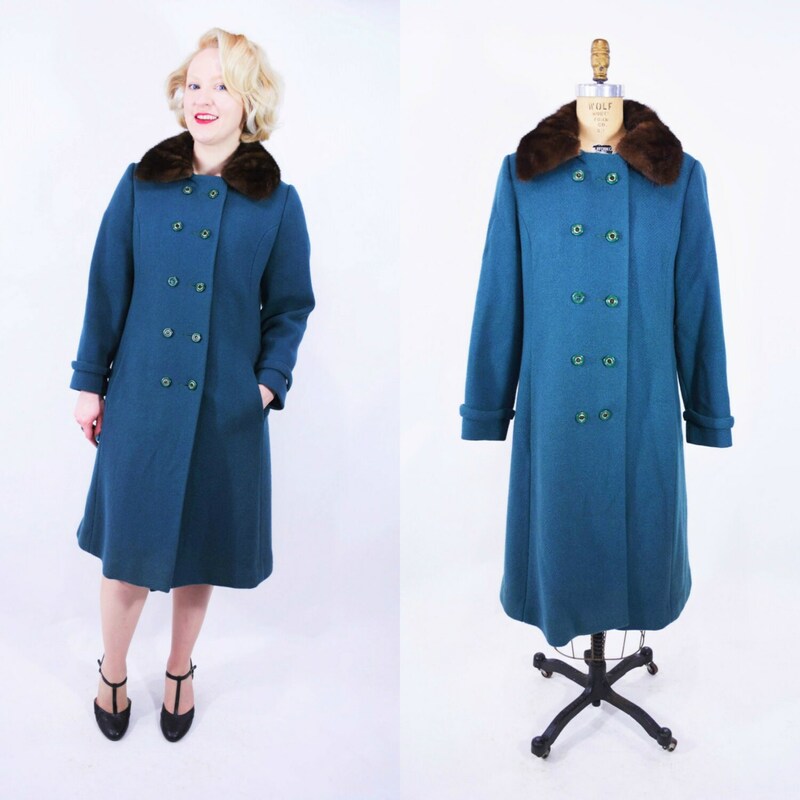 Coat color is best described as teal, as seen in the photos, in some lighting it looks bluer but it darker lighting it is more green in color. 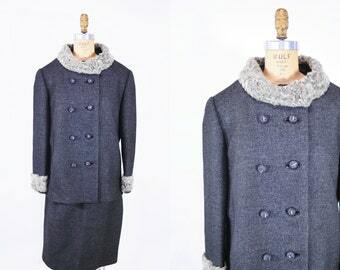 1960s houndstooth coat | mod brown wood button peacoat | B 40"
1950s wool suit | charcoal wool fur collar vintage suit set | W 30"